The once raucous ramblin’, gamblin’ man turns 70 in May, but, by the sound of his 17th studio release and first in 8 years, he’s got plenty of gas left in his Motor City tank. Take that as a metaphor for one of those classic cars he owns and for his well-established Detroit roots, both of which he pays tribute to on this album’s opening track. 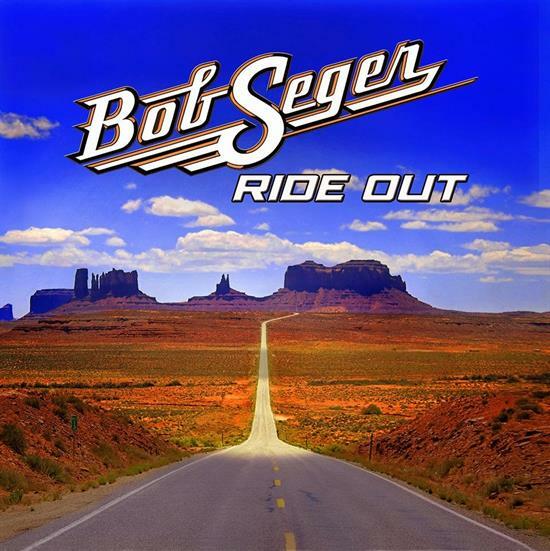 Penned by John Hiatt, the rollicking “Detroit Made” is everything you expect from a Bob Seger rocker;soulful, propulsive, pedal to the metal and a worthy successor to uptempo hits such as “Hollywood Nights,” “Katmandu,” and “Get Out of Denver.” It would be unrealistic to expect an album full of these nuggets although the first four tracks, including a fiery version of Steve Earle’s “The Devil’s Right Hand,” shows that Seger hasn’t lost much energy as his beard has grayed over the years. The rest of the set though settles into a less rugged, at times countrified, groove perhaps a combination of Seger’s natural reflective inclination as he pushes 70 and recording in Nashville, a place that has produced much of his studio work over the years. The most striking of these rootsy songs is Kasey Chambers’ and Shane Nicholson’s “Adam & Eve” that features banjo and fiddles but is rocked up slightly by a thumping backbeat. The slickness that has often hampered Seger is in full evidence on “All of the Roads,” a sweet mid-tempo ballad that sports a little too much polish and layers of production to feel as epic as the singer/songwriter was aiming for. Ditto for “California Stars” with its schlocky horns and backing vocals that seem more like a mediocre Eagles out-take than something the rust belted Seger would be slinging out. He doesn’t fare much better spouting off on environmental issues either in the plodding “It’s Your World” with its well-meaning yet cloying save-the-earth lyrics. The syrupy ballad “You Take Me In” tries hard but comes off as droopy, not a word you usually associate with the like-a-rock likes of Seger. That also apples to the lumbering closer “Gates of Eden” (not the Dylan song) with full orchestration that props up Seger’s attempt at an album closing statement. Two out of three extra tracks on the deluxe edition go the folksy route as well with “The Fireman’s Talking” even pushing into bluegrass territory. It’s encouraging that Seger is expanding his boundaries, especially this late in life. But a few more representative tough rockers interspersed in the album’s disappointing second half would have helped what starts out like a revitalized return to form from– here’s that car/Detroit metaphor again– running out of gas.